Easter is such a special time of the year. Especially when it comes to all the children who look forward to decorating lots of Easter eggs so the Easter bunny can hide them in all the best places. Kids love being creative (and getting messy!) 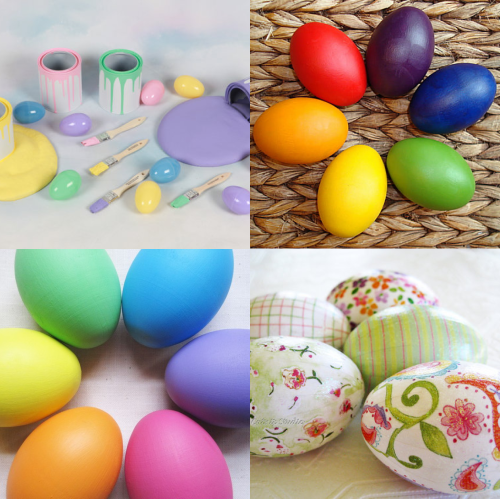 making the fun task of decorating Easter eggs one that kids really look forward to. Kids also love hide & seek games, so the thought of the Easter bunny coming to their home to hide their precious creations makes for quite the exciting holiday celebration. The colors associated with Easter decorations are both beautiful and charming. Most people choose to decorate in either soft pastels or bold shades of color, which consist of pleasant pinks, yummy yellows, gorgeous greens, and beautiful blues. Some of the many choices of Easter-related décor include bunnies, baby chicks, lambs, colored eggs, baskets filled with chocolates, and more. When it comes to taking photos, Easter is definitely one of the top holidays where people want to take lots of photographs that will remind them of the fun they had on this special day. And it's easy to understand why! This is a day when everyone tends to dress up in their finest attire. 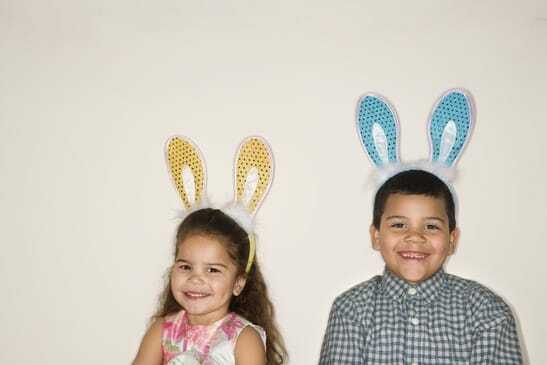 Even the kids like to get dressed up on Easter. Girls like to wear their frilly dresses that come in the prettiest colors, while boys usually tend to wear a nice pair of slacks with a dress shirt, which can even include wearing a tie. No one can resist taking lots of photos when all the family is dressed up so beautifully. Any new additions to the family? Who can resist newborn bunny sets? Guest Twitter uploader can now use non-Twitter photo hosting service. The Twitter photo hosting service is sometimes unavailable or over loaded - when this happens you can use a different photo hosting service like Twitrpix or others. To configure the photo hosting service, select the Guest Twitter uploader in the Upload settings tab. Twitter uploader now displays media upload limits. Twitter limits the number of photo uploaded to its site per Twitter account - you can see the current daily limit by selecting the Twitter uploader in the Upload settings tab. If you need more uploads per account, please use another Twitter photo service like Twitrpix which has no daily limit. Twitter uploader returns more specific error messages to let you know if the Twitter photo upload service is unavailable or overloaded. Guest Facebook and Twitter sign in input fields have focus on display. You no longer need to click on the sign in fields before typing. More consistent upload status messages. Small maintenance update to improve the drawing of the touch screen controls on smaller screens. With this update the touch screen controls are no longer look pixelated when shrink down. Sparkbooth 3.2.0 is now available. 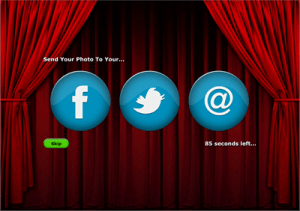 With this update, you can now let your guests choose where to send their photos. They will be presented with the option to upload the photo to their Facebook or Twitter account, or sent to their email address. To enable this feature, select "Guest Upload Chooser" in the settings Upload tab. If you want to email, you will need to select either SendGrid or Postmark for the email service, and provide your account credentials for the service. New look for touch controls. New portrait images for layout selection preview. To re-generate the layout previews using the new portraits, go to Settings > select Options tab > select User Controls from drop down list > press the Reset button under Photo Layout Selection. You may want to replace the keyboard with a USB button for your Sparkbooth photo booth. 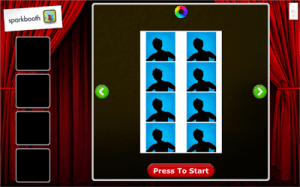 It will simplify the usage of the photo booth, since guests will only have the option of pressing a button. There is now a variety of Sparkbooth compatible USB buttons to choose from. Pete of Rasterweb has his Awesome USB button for sale. Several Sparkbooth users have mentioned that the Griffin PowerMate works and looks great, and is very affordable. Want an Awesome USB Button? Pete over at Rasterweb made a really cool USB button for his Sparkbooth photo booth. He posted instructions on how to make one for yourself. Or if you are not up for a DIY project, he is now considering selling these USB buttons! If you want one, please head over to his post, and let him know. 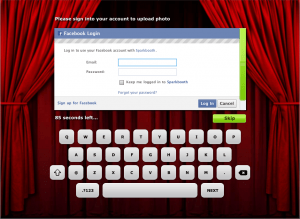 Virtual keyboard is now enabled for the Guest Facebook and Twitter uploaders. Remaining time pauses when guest is typing. Email input field is limited to only valid email characters. So you can no longer accidentally enter spaces.